I've heard of DCK but not DCE. Oh man... I'm so sad now. WHY DID IT HAVE TO CLOSE?! Who do all the good websites die? Oh man... I'm so sad now. WHY DID IT HAVE TO CLOSE?! Who do all the good websites die? 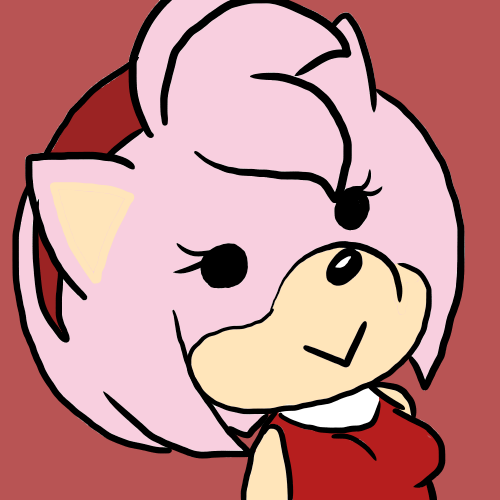 Amy Rose as drawn by Hanna-Barbera? :o d.m.f. No, she's smol. The original was a Tails based on some Sonic X archie comic thing. Or in her color blind eyes: eighteen Sonics.